Webinar: Help! My Book Isn't Selling. Should I Give Up? It’s hard to know when it’s time to give up or keep pushing, and in a world where there are 4,500 books published each day, it's easy to get lost in the flood of titles that hit Amazon. So what's an eager author to do? Well, before you give up - let's look at 9 things that could be wrong and how to fix them. In this session we'll look at specific issues that seem to plague some books that just aren't moving the needle. Marketing – are you doing enough of the right things? I’ll show you how to know what you should be doing and give yourself your very own marketing grade. 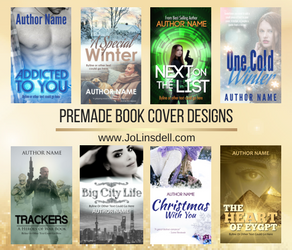 Cover – do you know if your cover is strong enough for the genre? Reviews – do you have enough? How to get more reviews even if your book is over a year old. Is your book to old? 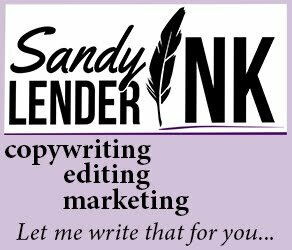 Does it matter to your reader? 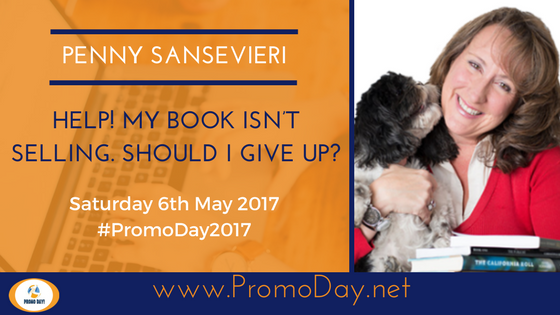 Penny Sansevieri, CEO and founder of Author Marketing Experts, Inc. (AME) and Adjunct Professor at NYU, is a best-selling author and internationally recognized book marketing and media relations expert. Penny's company is one of the leaders in the publishing industry and has developed some of the most cutting-edge book marketing campaigns. Penny has owned and operated Author Marketing Experts, Inc.,for 16 years and she also has published 14 books, including How to Sell Your Books by the Truckload on Amazon and Red Hot Internet Publicity, which has been called the "leading guide to everything Internet." Her company, AME, has been featured in numerous media outlets such as InTouch Weekly, Fox News, The Huffington Post, BlogHer, Entrepreneur, Publishers Weekly and much more!